LUX* North Malé Atoll - A slice of heaven on Earth! Sitting in a speedboat, I patiently for us to reach our island destination. While the wind howled in my face, I spot a milky white dot in the distance. As our speedboat approached closer, I could make out beautiful white buildings spread out on the beachfront of an even more beautiful island. We had finally arrived at the newly opened luxury Maldivian destination, LUX* Northmale' Atoll. 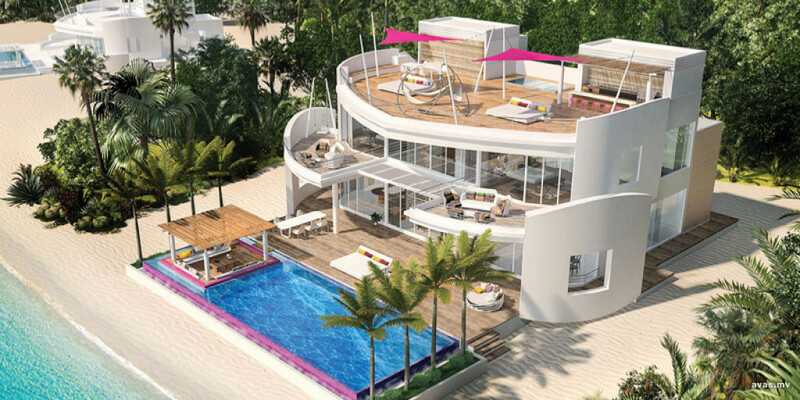 The ultra-modern luxury resort boasting of 67 luxury villas and residences, with multi-storey villas spread over six hectares of land displays the unique exquisiteness of the island. Although the modern contemporary design of the buildings are distinctive, it succeeds in giving off a familiar homey vibe. I had been so enthralled by the beauty of the island I had not even realized I had gotten off the boat and was standing idly, gawking at what I was seeing! 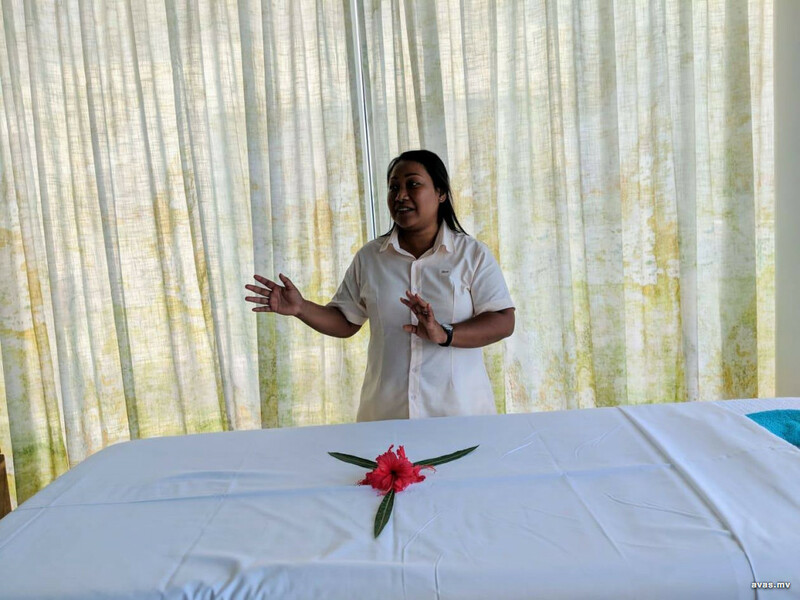 It was only when I was greeted by my personal butler that I was jolted out of my trance, who then proceeded to give me a detailed orientation of the island. Situated on the island of Olhahali just off the coast of Male' atoll, LUX* Nort Male' is definitely is one of the Maldives most luxurious and exclusive beachfront escapes. Less than an hour away by speedboat from Malé and the international airport, LUX* North Malé Atoll is only 31 nautical miles (56 kilometres) north of the capital of the Maldives. Co-designed by a talented local and the famed Singaporean luxury hotel architects, Miaja Design Group, the idyllic location amid an unexplored reef teeming with extraordinary sea life, LUX* takes its style cues and interior design inspiration from the nautical world. Though beautiful resorts in Maldives are a dime a dozen, the new LUX* resort may just trump them all - designed in hues of white, the beach front of the resort dazzles from the outset - its modern, minimalist inspired villas cascading dramatically down a pearly white beach into the ocean. As I walked towards my room, even my untrained eye could tell that the pièce de résistance of the island was it's remarkable villas. With a total of 67 villas, 19 villas are nestled on a deserted stretch of pristine white-sand coast. 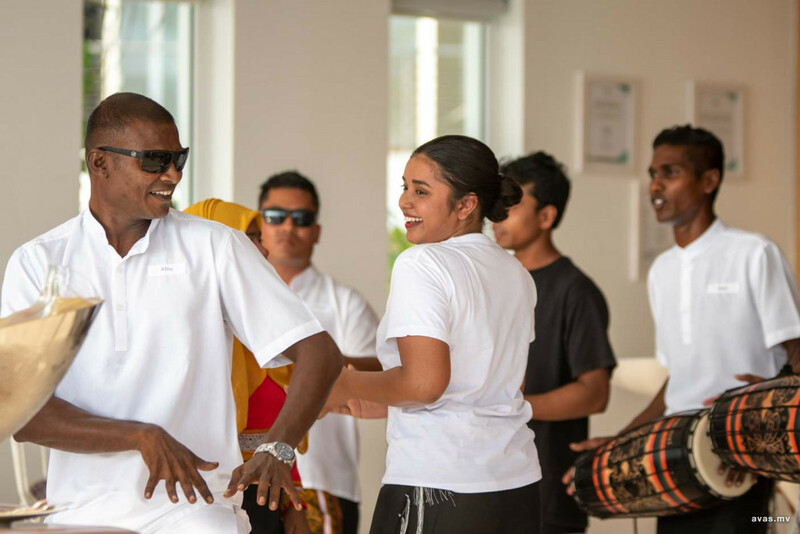 The villas pay homage to the traditional Maldivian lifestyle without losing its modern touch, the white of the sleek multistorey buildings reflecting the sand. The view from the villas beg to be photographed, the villa spilling over into you having the Indian Ocean as your backyard. The house-reef of the secluded island clearly visible from the villa, the dolphins frolicking in the ocean was a sight to behold! - as you yourself play around in the swimming pool situated in your private villa. From its luxurious rooftop pool, guests can admire the entire expanse of the lagoon, while also having the option to sleep under the stars. Watching the beautiful hues of the sky as the sun rises by day, admiring the rising and setting of the twinkling stars as you lay on a deck chair sipping a drink by night - what more can you ask for? Say no more! The decks are equipped with the facilities to have your own private barbecues! And what's more, the picturesque location comes with guaranteed privacy. There is nothing extra-ordinary about having a spa in a top-notch resort. However, the spa at LUX* is at a whole another level! The spa rooms are as sumptuous as the rest of the island, designed to ensure stratospheric levels of comfort, privacy and bespoke care while guests guests relax, detox and indulge in the services delivered by the experienced staff. Embracing a holistic approach to wellness, the Spa offers its own products for a more personalized experience giving off a feeling of exclusivity and seclusion. One of the most notable features of the Spa are attached private shower rooms, a most attractive lure for those seeking an extra-ordinary experience, outfitted with special overhead showers designed to rain down water on your shoulders at just the right pressure for a more rejuvenating experience. 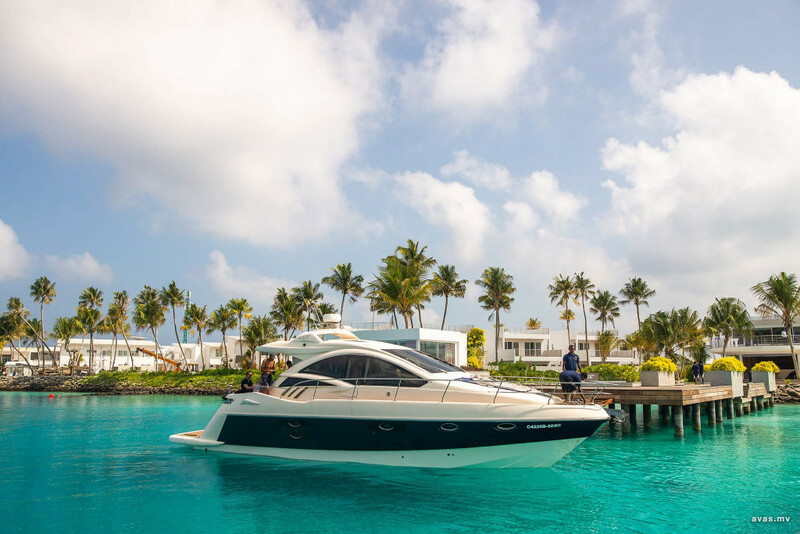 A luxury yacht is moored at the island dock, ready to be chartered by guests who seek to sail out into the turquoise blue waters. Panache offers accommodation for up to 6 guests in 4 suites comprising 1 owner cabin, 1 double cabin, 1 twin cabin. She is also capable of carrying up to 3 crew onboard to ensure a relaxed luxury yacht experience. A range of water sport activities are also available on the island, from jet skis to fly boarding,. Just say the word and the activities can be arranged to take place at the reef protected lagoon right outside your villa! There are two main restaurants on site, and a snack and drink bar to suit your cravings. International cuisine with a modern twist is offered at the main restaurant, with its soft, intimate ambience and creative take on world flavors, ensuring an eclectic dining experience between the two island restaurants. The inner child in me could not be more thrilled to discover an ice-cream parlor tucked away on the unspoiled island - serving original just-whipped-up recipes especially for you! Of course, the special island-blend coffee by Café LUX*, where every cup is created from ethically sourced, house-roasted best-in-class beans deserves an honorary mention of its own! With more than 30 years of experience in the tourism sector, Manager John Roger ensures that the lavish resort offers their guests an enjoyable stay backed by COO, Dominik Ruhl. With 19 years of service to the Maldivian tourism sector under his belt, in charge of quality control is local Hussain Afeef, popularly known as "LUX Afeef". With an experienced team such as this, you can be sure that your satisfaction at the island is guaranteed! 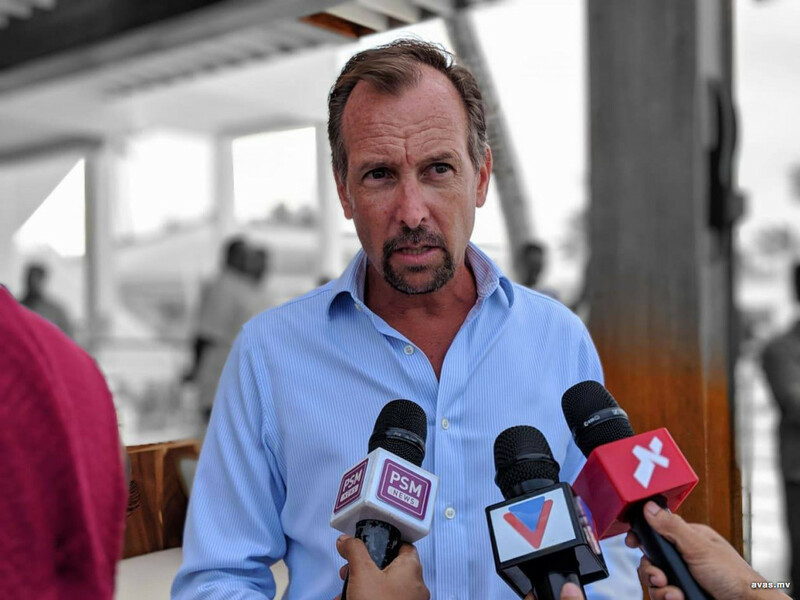 COO Dominik Ruhl had stated during the island's opening that the resort wishes to hire as much local staff as possible. Currently, 55% of staff at the island are locals, proudly revealed Dominik. 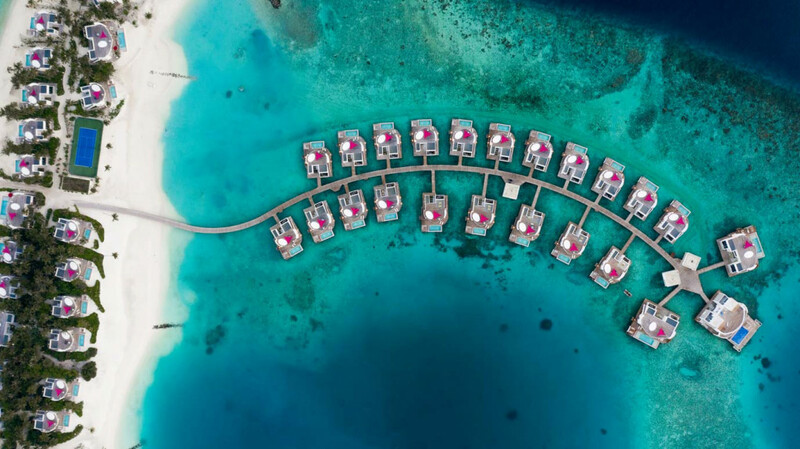 While it is the norm for resort openings to be extravagant affairs with fireworks and celebration, the team of LUX* North Male' toll went for a softer opening, inviting international bloggers to be the first visitors to the island. This strategy has proven to be very effective indeed, with nearly 67% of the resort already booked out for the next month. 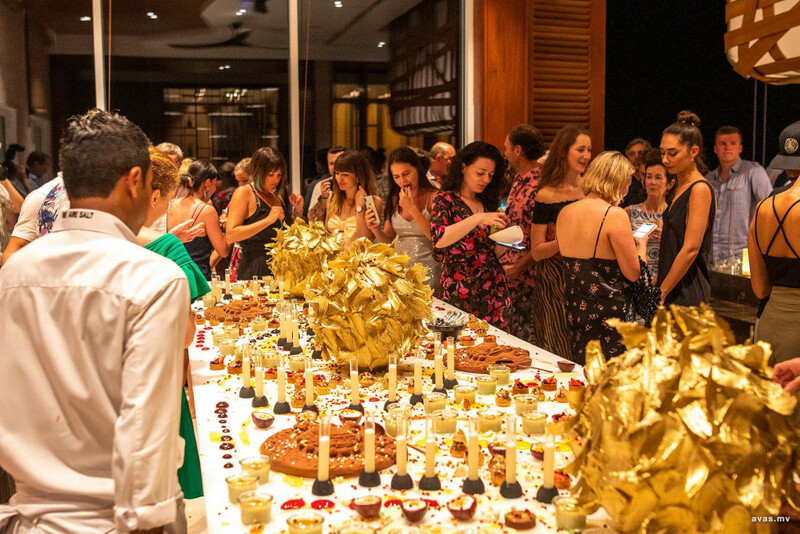 The island that has the capability to house 200 guests at a time is sure to leave all of its guests fully satisfied. At this point, my tour of the beautiful hideaway island has come to an end. One thing I know for sure is that this resort is not a typical beach destination. This ultimate beachfront hideaway, that sits right on the waters edge is definitely Instagram worthy! From it's eclectic dining experiences to the palm fringed white sand beach jutting dramatically into the turquoise ocean, there is no doubt that this post-card perfect island is a refreshing contrast from traditional resorts, and definitely the most luxurious of the two LUX*resorts in the Maldivian archipelago.